Learning Java? Great, this book will help you. 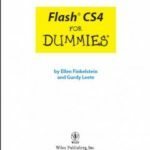 I searched for it in Google, and I’m lucky to find this free e-book of Head First Java – Second Edition. I can’t remember where I got it from though. It’s been days (EDIT: no, it’s been months now! or maybe years), and I got a poor memory. lol. New! The following Head First Java Ebook is of better quality than the scanned one. It’s not split into several PDFs of individual chapters though, because I have no time to do it yet. It’s one big PDF file for now. The zip file that follows contains Head First Java scanned ebook split into several PDFs of individual chapters. Happy Java programming, y’all. 🙂 Make good use of the learning Java book you downloaded. Java is a programming language originally developed by James Gosling at Sun Microsystems (which is now a subsidiary of Oracle Corporation) and released in 1995 as a core component of Sun Microsystems’ Java platform. The syntax of Java is mostly derived from that of C and C++ programming languages, but with simpler object model and fewer low-level facilities. I like to know more about it..!!! I’m really appreciate your effort Man!!! Thanks a Lot!!! The one from MediaFire works. Right now the first one doesn’t because bandwidth has been exceeded. The second link is from RipWay and my account in that site had expired so I put the link down. oh this is very nice ……….. I got linked to a HFJ download from my friend the other week and loved how convenient the separate chapters were. When I came to my other house here I found myself unable to locate it, only finding the huge 690pg pdfs! Had to search for awhile, but eventually came upon this site. Much thanks for manually splitting the book into chapters! Hi buddy, Will u plz send me soft copy of “Head First Java” on gkulkarni30@gmail.com…… Plz help me !!! thank you so much.i thank ful to you.this book is so useful for getting start with java. amar thank you for your download link. Thanks for sharing the original copy. I placed a download link to this good version on the post. Super! This is the first proper copy of the book I’ve found. All the others are scanned copies. Thanks for the effort! its useful for students and easy to understands……………. Thank you for the link!God Bless! this is awesom book. and all books of headfirst are so good. i learned almost 6 to 7 books of headfirst. it make intrest in the programming.. and now im become the biggest fan of the headfirst books. great thanks for all author of headfirst books. really you all are awesome.. 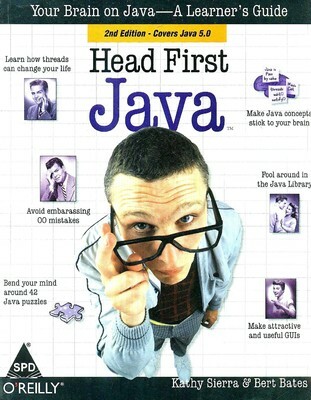 I wrote Head First Java. While I’m happy that you enjoy it, I wish you wouldn’t steal it. I earn only a dollar or two for each book and it took me a long time to write the book. Support your hard-working authors! Don’t steal books! Thanks for writing the Book. I will make sure that I will buy an ebook from oreilly online. Besides, I already have a hard copy of design patterns. Thanks a lot for sharing… have been looking for this for a long time!! Thanks alot, earlier i only found semi bad scanned ones. thanks a lot!!! thank you for sharing! This is not a “free e-book”. Please purchase this book and support the authors. Never the less I left my copy at home and this came in useful as I needed to reference it. I’m totally going to buy this book. I like to download a lot of stuff but if it physically helped me i will purchase it. Thank you writer! And thank you too poster. Thanks so much! Have started reading one of the scanned versions and it was driving me nuts. I’ve bought the dead tree version to help the writers/publishers, just can’t be bothered to hold the gigantic thing while reading! Great, thanks for sharing and leverage the world. I am totally greatful to you for sharing this book.I was looking for this book for one month ago. Hope is not written in upper intermediate english or else it would be a little hard to me. This is what i was looking for. Hell yeah. thank you my durling from mexico. thanks my sweet heart from mexico. finally if u want SCJP book try this link..
Thanx a lot. You just saved me Rs. 469 for buying this book. I am from India and aspiring to be a java Developer. Had no money to buy this! Sorry Kathy Sierra I hope profits from one book won’t matter to you! Dry Pockets! can u plz send me the oft copy of this book. (goutamid902@gmail.com) this is my mail id.